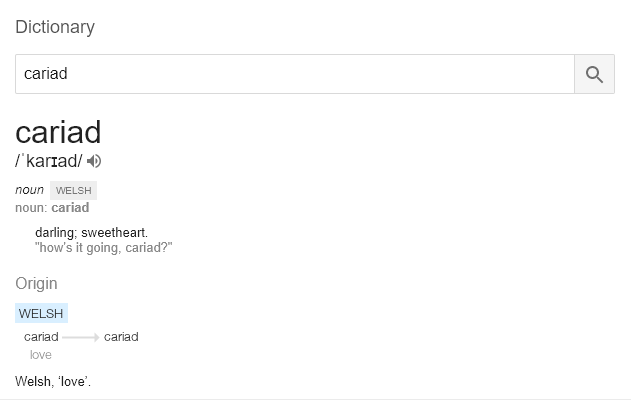 “Cariad” is the Welsh word for love and is a great representation of our company ethos. We love what we do and our clients love what we do too! You can see it in our logo which has merged the infinity sign with a love heart to show that once you’re smitten with Cariad, you’re going to stay smitten! Furthermore, if you look closely, you’ll spot the Cariad Marketing initials in the logo too! 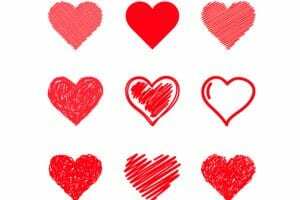 As February is the month of love and we are celebrating our 9th anniversary (pottery and willow apparently), we’ve been looking at scientific studies about love in order to check that we’re on the right path. Reciprocal liking is a psychological way of saying that when you know someone likes you, you’re more likely to like them back, and this mutual liking can blossom into love. Aw! And we’re happy to report that Justine’s cunning plan has paid off! As a company, Cariad has formed long-term relationships with the majority of clients, and they have demonstrated their love for us in the form of referrals and testimonials. In the 9 years that Cariad has been trading, there has been steady growth in the number of new clients coming on board every year, with a parallel growth in the number of team members working at Cariad Towers. In fact, we have welcomed so many new clients into the fold recently, we’re currently on the lookout for new staff, so there’s lots more love to go round! Scientists and existentialist philosophers alike tell us that authenticity is a key element in love because it makes for a better connection. These are qualities we like to foster with our clients as we firmly believe that openness and honesty create trust. If a client wants us to do something we don’t think will work, we’ll be upfront about telling them and explain why. Apart from being the right thing to do, this kind of authenticity fosters respect, which makes for a much better working relationship. When it comes to a successful relationship, the boffins talk about compassionate love: “concern for another’s welfare and taking actions to promote it, regardless of whether those actions are perceived to result in future benefits to the self”. In other words, people in love do nice things for each other simply because they’re in love! We like to embrace this spirit of altruism with our clients for the simple reason that we care about them. It makes us happy when clients do well, so if we come across ways we can help them succeed beyond our contracted work, at the very least we’ll make sure they know about it. Whether it’s a referral, a PR opportunity, helping out with charity fundraising, or voting for them in business awards, our aim is to help them to do better. This year, to celebrate our 9th birthday, we’ve launched a competition to offer free LinkedIn social media training to 9 Hertfordshire businesspeople. By sharing our skills and expertise, we hope it’ll help other companies do well. And, nope, we don’t expect anything in return, we’re just passing the love forward! The closing date is 23rd February and the workshop will take place on 28th February: find out how to enter. Instagram or Instagran: Is It Worth It For Business?